Many "How To Hire A Good Disc Jockey" articles overlook one of the most important elements for choosing entertainment. Your ears. Forget checking for a business license (anyone can get one), or endorsement by some far removed, "official" DJ association. Send them their required fee and they will endorse you too. Whether your entertainer is "certified" on paper or not, how his or her system sounds is critical. Most DJs are not experts in the technical realm of sound specifications. They may not even know what signal to noise ratio, total harmonic distortion or frequency response is. For many DJs the quality of their sound system is dictated by how much they can afford to spend. The resulting sound may turn out to be shrill (too many highs), unclear or "muddy" and even distorted. This is where your ears and eyes come in. 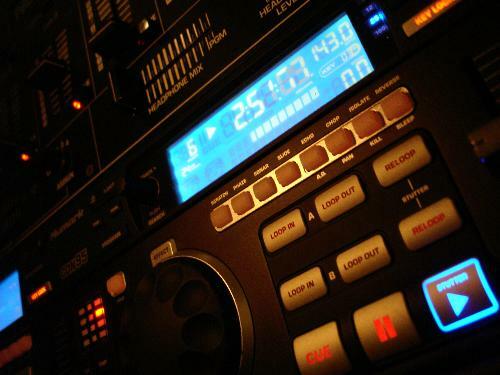 Ask for a live audition so you can gage for yourself how the DJ's equipment sounds and looks. We always offer a live listening experience to potential clients. This is the only way for them to know if they will like it. If your DJ is not willing to "audition" for you, it may be because he is embarrassed by the look or audio quality of his rig. This is a red flag. Have your prospective DJ play a song you know. Think of one that that incorporates bass, drums, keyboards and vocals so you get a full range of sounds. Dance songs are usually good. Ask the DJ to turn it up for a moment. Now close your eyes and listen. You don't have to be an acoustic expert to know if you like it. Is it full and warm or hollow and "tinny". Does it sound like an AM radio or more like what you might hear in a movie theatre? Is the base "punchy" but not overwhelming, allowing room for the mids and highs? Are the highs too brassy, making dogs howl and ears bleed? Are the mid-range (vocals) present enough? Is the overall sound flat or is there "depth"? Remember, this is what you and your guests will be hearing all night long. While the sound can be enhanced by the use of equalizers and sonic enhancers, the right speakers are key. Whether it's JBL, Yamaha, Mackie or others, speakers have their own sound characteristics. And off-brand, budget speakers are often lacking in sound quality. Ask the DJ why he chose the speakers he has. Often great sounding, name brand speakers are not much more expensive than low-end, budget cabinets. If the DJ is scrimping here to save a couple of bucks, what else is is he cutting corners on? I personally dislike "hissing" brass or cymbal sounds (highs) or too much bottom end (bass). For me, the midrange is where the melody is and I like to hear it. Warm and full vocals, keyboards and guitar with the highs and lows serving as complimentary bookends. For example, I'd rather hear emphasis on Sinatra's voice over his bass player. Now go find the sound YOU like. You're already an expert as you've been listening all your life. Do a little earwork and you will feel confident as your event approaches, knowing your guests will experience complete sonic satisfaction! Did The Beatles Ruin Rock & Roll? NextWave- Back To The Future! DJ Craig.Net is an approved iTunes Affiliate with access to over two million songs.